Blog 1st Annual SparFest a Huge Success for Art of Eight! 1st Annual SparFest a Huge Success for Art of Eight! Back in February, we had our inaugural SparFest. Brave and dedicated members of our gym went through months of training to prepare for getting into the ring. Everyone put on a great show for the jam-packed full house we had. SparFest was more successful than any of us had imagined! This event was two years in the making. 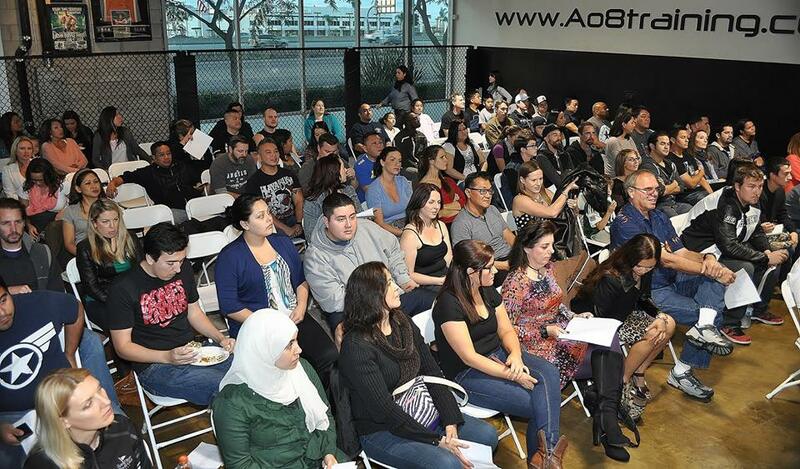 Since AO8 has been open, we have been able to build a consistent, strong, and talented membership. Some of the participants in SparFest have been members since our opening! Friends, family, and other gym members came to show their support for the participants. We had such a huge attendance at SparFest that we had a hard time finding everyone a seat! I liked all of the fights, so I can’t say I have a favorite. But, I personally enjoyed the blindfolded ‘buffalo’ boxing match with Cheuy and Ruben. That entire two minutes of the match had me laughing so hard that I couldn’t even keep myself standing. I am very proud of our “Fight of the Night” winners Jeff Goings vs Jericho Somo (bout#11). They definitely put on a fight. Although the bout had to be stopped before the finish of the 2nd round, they both showed true sportsmanship and hugged it out at the end. Coming in as runner up (with just 2 votes behind the winner) was (bout#9) Miles ‘the hawaiian hurricane’ Kurishima vs Miguel ‘pocket rocket’ Alcocer in a non-stop, all-out action boxing match. Be sure to watch all of the fights in our video covering SparFest. Thanks for making the video Joe! 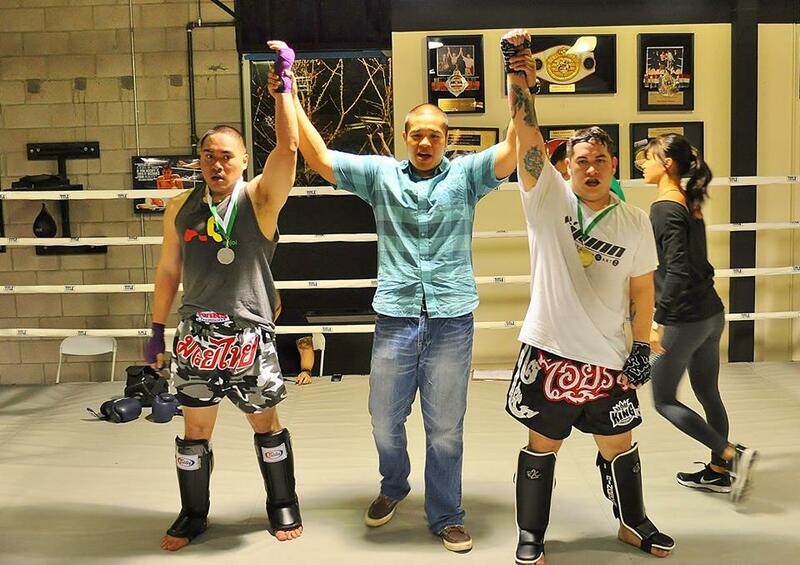 Our participants have never trained for a professional fight before. Even though this was a friendly sparring match between the Red Team and Blue Team. I wanted to provide them with some of the same physical therapy and recovery that I provide for professional fighters. With the help of Stretch U, we kept our SparFest participants limber and conditioned for their training and matches. During the event, Stretch U helped our participants prepare and recover, but they also educated many of the spectators on the importance of proper stretching and physical therapy.